« You Have Been Heard! Kim David, a Library Specialist at Oxford College Library, was nominated for a Georgia Author of the Year Award in the Children’s Book category. 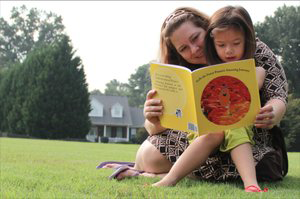 Her nominated book, Stella the Sweet Potato’s Amazing Journey, was written and illustrated by Kim and her daughter, Stella. The book is based on Oxford’s Global Youth Service Day 2013 “Potato Drop,” an event made possible through Oxford’s partnership with the Society of St. Andrews. At the Potato Drop, students, faculty, and staff bag over 400,000 sweet potatoes to be distributed to local organizations that feed those in need. 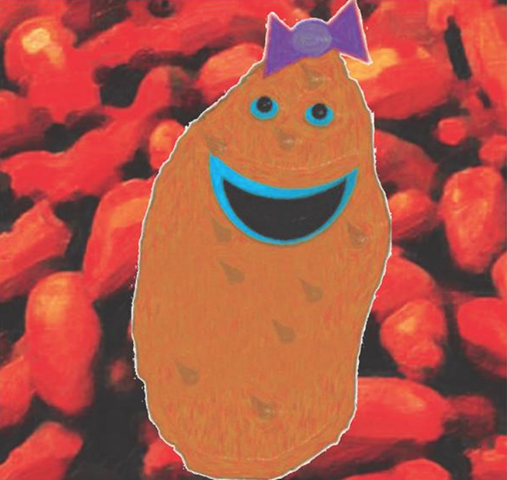 The book follows the story of a sweet potato who begins her journey on a farm after she is left behind for not being visually perfect. She goes on to discover that she is perfect for another important purpose: she helps feed children in need. This entry was posted in Staff Bytes and tagged Oxford Library, University Libraries. Bookmark the permalink. Post a comment or leave a trackback: Trackback URL.